One of my goals is to test as many sealants, topcoats, and glazes as possible for paper quilled jewelry. Everyone has access to different products and sometimes it is so difficult to decide what to order. My hope is that my review posts as well as tips and tricks posts will help you make that decision! Today I’m sharing a Ceramcoat All Purpose Sealer review with tips and tricks! 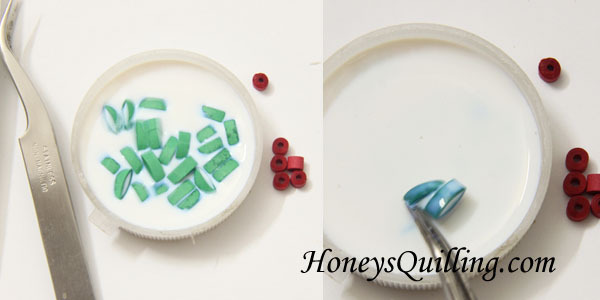 When I first started making quilled jewelry I used a single product to protect it. It was a liquid matte sealant that I found here in Malaysia. It soaked into the paper to make it stiff and gave pretty good water resistant protection as long as I used several layers. After a year or so I started using another product, a glossy topcoat, on top of the liquid sealant. This gave a shiny finish and great water resistant protection. I found that over time the sealant by itself would kind of wear off, so it wasn’t the best to use by itself (but still super valuable because of the stiffness factor). So the two products together were just perfect. 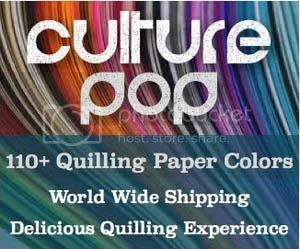 The problem was that here I was telling people how to make quilled jewelry, yet the products I was using weren’t available worldwide! I started selling quilling supplies, and the sealant and glossy topcoat along with that. Now I no longer sell those products (though you can find out here where to get them in Malaysia) as I have closed my online supply shop to focus more here on the blog. So the last time I went back to the US I brought back a bunch of new products. I was hoping to find a product that worked just like the liquid matte sealant that I was used to, and I am happy to say that I have! Ceramcoat All Purpose Sealer works to soak into and stiffen your paper quilling design, making a perfect base for sturdy jewelry. Today I am sharing an official review along with some photos of the sealant in use, some tips and tricks, why to use it, and what to expect. Using the same criteria as the other topcoats for quilled jewelry, this product doesn’t come out with a very high star rating. Yet I use it for almost every single piece of quilled jewelry I make! Why? Because of that one 5 star area – it soaks into the paper and makes it stiff! When I make quilled jewelry I like it to be sturdy. I don’t like when it can be easily bent or smashed. If you want the same for your jewelry, give this a try! darkens the color of the paper a bit (I don’t mind this effect, but it’s something that some people won’t like, so take notice. doesn’t give the high level of water resistance that topcoats and glazes do. This is a question that is asked about all sealers, topcoats, glazes, etc. I cannot find information about how water resistant this product is, but that is because that is not its purpose. The purpose of this product is to soak into a porous surface, preparing it for paint, glaze, etc. For use on most porous and non-porous surfaces. This sealer creates a non-porous protective barrier that requires fewer coats of paint. Using this creates a slight texture or “tooth” for easier paint adhesion. Ideal for wood, paper mache, terra cotta, plaster, resin and bisque. So I would not rely on this product for the best water resistant finish. Use another product over top of this one that is meant to give better protection. This sealer will give you a much sturdier piece of jewelry in the end, so that is why I use it underneath a topcoat or glaze. Does it soak into the paper? To make the paper water resistant to protect against dirt, moisture, rain, etc. I don’t know of any product that does both things perfectly. That is why my usual method involves using a liquid sealer as a base coat which soaks into the paper and makes it quite stiff. When that dries I add a glaze or topcoat for extra protection. A sealer by itself won’t last forever and won’t be as water resistant, and a glaze by itself won’t make the piece as stable as possible. Here are some projects on the blog where you can see me using this sealer. 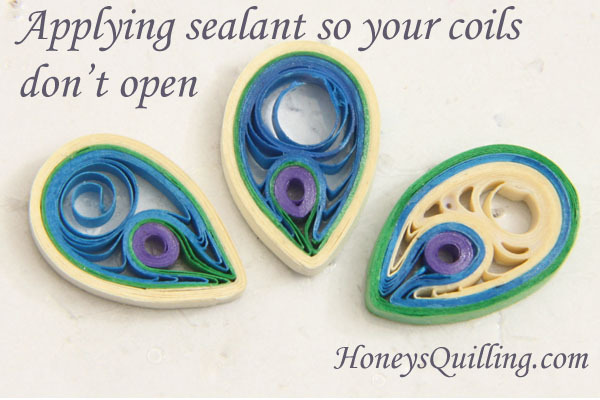 In this tutorial for teardrop tubing earrings I show the all purpose sealer. I use it to make this shape nice and sturdy. In this post about applying sealant so that your coils don’t open I use this all purpose sealer. Because it is a liquid and is water based, it soaks into your paper so easily. If you put too much on your piece at once, your pretty coils will come undone! So you have to be very careful about applying LIGHT layers when you have loose coils. Here I am using the sealer for these dangly mistletoe earrings. Because these pieces are solidly quilled, no loose coils, they can be directly soaked in the sealer. I plop some in for a few seconds, take them out with tweezers, dab on a tissue and set on a plastic surface to dry. Here are some places where you can find Ceramcoat All Purpose Sealer. I found it at either Michael’s or Joanne’s Fabric and Crafts. I bought products at both of those places when I was visiting the US, so I can’t remember which it was at. Maybe they carry it in both places! I found it in the section with the other Ceramcoat paints, as it is made to use as a sealer before applying paint. They also make a varnish which I don’t have, but want to try some day. You can probably even find it at some Walmarts in the craft section. If you love Amazon , it can easily be bought there. If you cannot find Ceramcoat All Purpose Sealer where you live, what can you use? Before I found this particular sealer I used to use a liquid matte sealer that I found here in Malaysia. As far as I can tell it works exactly the same. 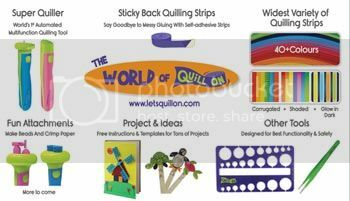 I used to sell this product, but since I stopped selling quilling supplies now someone else does. Click here to find the links where to buy liquid matte sealant (and also glossy topcoat) in Malaysia. The only reason I went on to find other products is because I know it’s hard for others outside of Malaysia to get this liquid matte sealer unless they order from here. If you cannot get either of these products, take a look at your local craft shop. Look for a product that is a liquid and is meant to seal a porous surface. Often they are used for paper crafts or painting crafts (often you put a sealer on a porous surface before painting it so that you don’t have to use as many layers of paint). So you can find them in different aisles in the craft shop. Another product easily available in the US that I tried out and that works well is DecoArt Americana Multi-Purpose Sealer. Click here for my full review and tips for that product! There are more products like this that I want to try, but one that I DID try and DID NOT work was Aleene’s Stiffen Quik. Here in this post I show how it worked for me and why it did not work. So if you see that one in the shop, don’t bother to get it for this purpose. I’m sure it works fine for its original purpose, I think it is more for cloth, but it does not stiffen paper enough. I hope that you found this Ceramcoat All Purpose Sealer review helpful. Let me know if you have any questions about Ceramcoat All Purpose Sealer and I’ll do my best to answer! I have many more products to review, so stay tuned! Click here to see all posts that are about sealants, topcoats, and glazes. Very good information given by u…thanku very much. Can i go with Ceramcoat all purpose Sealer for better result? I am in US and started quilling jewellry. Do we need to apply top coat to make it shining after apply Ceramcoat sealer? Hi 🙂 sorry for the late reply, for some reason this just showed up on my admin page. The Ceramcoat sealer is excellent for making your quilled jewelry stiff, I always use it or another similar product. However, it is not made for being very water resistant, so I would always suggest to use another glaze, varnish, or topcoat over it (after it has fully dried) for maximum protection. Unless you are just making the jewelry for yourself.